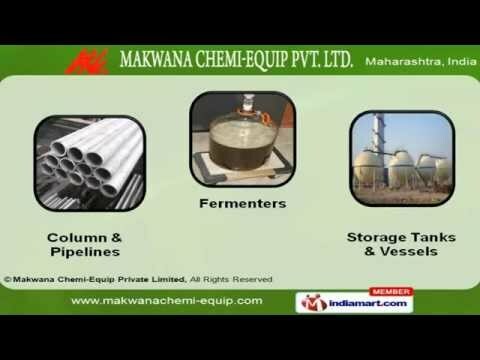 Welcome to Makwana Chemi-equip Pvt Ltd. Supplier of Chemical & Pharmaceutical Equipments The company was established in 2002, at Navi Mumbai. The equipments offered by us are are procured from reliable vendors to ensure a consistent quality standards and to Cater to Petro, Pharma & other industries.Our In-house R&D wing, assured quality & eco-friendly solutions are some of the reasons which has helped us to become the preferred choice of our clients.We offer a wide assortment of Chemical Process & Pharmaceutical Equipments.Our clients can avail from us a wide range of Chemical Process Equipments that are renowned for their high durability.We deal in a high quality range of Fermenters, storage tanks and pipeline that are sturdy in construction & are corrosion resistant.We are engaged in supplying a wide range of Pharmaceutical Equipments that are widely appreciated in the market.Rapid Mixer Granulator, Centrifuge Hydro Extractor & Tablet Compression Machine offered by us are well known for their impeccable performance.Along with that we offer Ribon Blender, Filter Press & Blister Pack Machines that are ideal for use in various industries.